Home > Accounting and Finance > Accounting Vs Finance: Which Should You Study? It’s all about FAME. And no, we’re not talking about the 1980 American musical film Fame, we’re talking about the popularity of FAME subjects among university students… obviously. The popularity of FAME subjects (finance, accounting, management and economics) comes from their vital role in the world of business, particularly those first two letters of the acronym: accounting and finance. The primary difference in the battle of accounting vs finance is that accounting has a relatively narrow focus, while finance is wider-ranging, covering an array of specializations in the world of business, economics and banking. A total of 36 countries boast at least one university among the 200 top accounting and finance schools ranked in the QS World University Rankings by Subject 2018, showing it’s not just highly developed countries which have a need for accountants. At undergraduate level, it’s possible to take a joint accounting and finance degree, in order to gain a more general knowledge of both accounting and finance professions. However, those who study further will usually specialize in either one or the other, in order to gain more advanced expertise in one particular field. 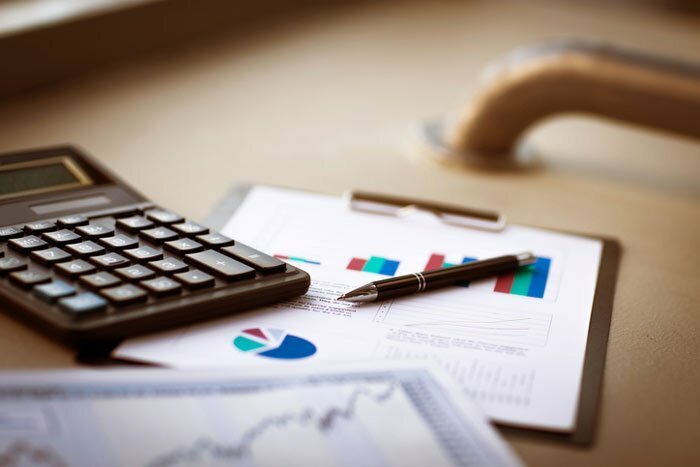 While accounting focuses on the day-to-day management of financial reports and records across the business world, finance uses this same information to project future growth and to analyze expenditure in order to strategize company finances. So finance degree students will likely be more interested in financial strategy and control, while accounting degree students will be more focused on professional principles and processes, used in order to manage numbers rather than influence them. What do accounting degrees cover? An accounting degree will provide a foundation for specialized accounting careers, as well as many other related careers. Accounting careers typically involve analyzing and utilizing financial information in order to evaluate a business’ financial position. This can involve anything from basic book-keeping to managing balance sheets and income statements. Accounting careers often have a large focus on past records and present reports, involving the creation and analysis of these records, and now often also extend to encompass planning, controlling, decision-making, stewardship, accountability and more. Although it is fairly easy to pursue accounting careers with just a bachelor’s degree, postgraduate study is an option for those who want further specialized knowledge in a particular area. In order to become a chartered accountant, you’ll need to gain further professional qualifications specific to the country in which you wish to work. Depending on the hiring business, however, these professional qualifications can sometimes be gained on the job, often with subsidies from your employer. Those who study accounting can often specialize in topics such as auditing, tax, risk assessment, international accounting and management accounting. Forensic accounting is another possible option, allowing students to immerse themselves in real-life case studies in order to provide a rounded understanding of how accountancy processes are used within legal proceedings, such as with cases relating to fraud, electronic crime, insurance claims, bankruptcy and corporate ethics. As with finance degrees, those who wish to study accounting with further specialization and independent research are also able to undertake a further postgraduate degree at MRes or PhD level. What do finance degrees cover? A finance degree, on the other hand, is a great starting point for careers in financial services, across business, banking and consultancy sectors. According to US salary data gathered by PayScale, finance careers also have the potential to be slightly more lucrative than most accountancy routes. This is due to the fact that finance careers typically focus on the management of current and future figures of a business or organization, as opposed to just the recording of past and present income and expenditure. This means that those in finance careers often have the added responsibility of predicting and analyzing the potential for profit and growth, assessing monetary resources, utilizing accounting statistics and reports, and also looking externally for future funding options. Common specializations for those who study finance at degree level include corporate finance, financial evaluation, behavioral finance, derivatives, capital markets, econometrics, financial modeling, quantitative finance, investment management, financial regulation, financial reporting, and even some aspects of accounting. These specializations, although taught within one program at undergraduate level, are sometimes offered as entire courses in their own right at postgraduate level. Other possible programs include financial management, banking, international finance, financial engineering, risk and financial planning. To study accounting or finance at undergraduate level, you will not be expected to have relevant work experience or an academic qualification specifically in accounting or finance. However, applicants will be required to prove their numerical proficiency, along with their interest in accounting and finance sectors. This can be done with high school and A-level qualifications in related STEM and FAME subjects such as business, mathematics, economics, computer science, and other sciences and technologies. Extracurricular activities such as a math club membership may also be taken into account. If you are applying for a postgraduate accounting or finance program, you will be expected to have completed a related undergraduate program and/or a number of years’ relevant professional work experience. However, this is not always compulsory, and students who can prove their quantitative and analytic capabilities through the content covered in their previous degree or by taking an exam such as the GMAT or GRE may also be considered. Why study accounting or finance at graduate level? At graduate level, accounting and finance degrees become even more popular, with as much as 25% of all full-time postgraduate students in the UK enrolled on a FAME-related program. This popularity comes from the highly specialized nature of many accounting and finance careers, with high demand for graduates who are ready to keep pace with continuous developments, new processes, changing markets and emerging technologies. Those who study accounting or finance at postgraduate level often benefit from a stronger understanding of the theories and models which underlie the surface-level processes. This can make them better prepared to adapt depending on the environment and make sound business decisions at a management level. In order to become a qualified accountant, you will need to obtain a professional accountancy qualification such as the globally recognized Association of Chartered Certified Accountants (ACCA) or Chartered Institute of Management Accountants (CIMA) certificate. If you study at postgraduate level, depending on the specific credits and modules you take, you may find that you are exempt from having to take these external qualifications. Practical experience is also widely recognized as vital to help students deepen their understanding of accounting and finance topics and prepare for professional roles. Although at undergraduate level a largely theoretical approach is taken, for research-based programs and taught master’s degrees, there is much more opportunity to gain practical experience while you study. This can be a formal requirement of the degree, or simply an extra option that students are encouraged to pursue, often with advice and support from course leaders and the university careers service. Accounting and finance graduates are highly sought-after, with employer demand showing little sign of slowing down. In the US, the Bureau of Labor Statistics forecasts employment opportunities for accountants and auditors to grow by 10 percent in the decade up to 2026, while opportunities for financial analysts are predicted to increase by 11 percent during this period. Sectors which are predicted to offer the most significant expansion within these fields include management, scientific and technical consulting services; computer systems design and related services; accounting, tax preparation, bookkeeping and payroll services; and general financial investment activities. Bear in mind, however, that many of the roles for which highest growth is forecast are those in which a specialized postgraduate degree is likely to be a major asset. Other less-specialized roles, on the other hand, are currently seeing lower levels of demand; these include roles such as data entry, file clerks, typists, couriers and switchboard services. Accountancy firms, insurance companies, building societies, investment banks, high street banks, and public sector agencies are just some of the potential employers for those with an accounting or finance degree, with the large multinational financial services firms still offering many of the most popular opportunities. These firms often run large-scale recruitment campaigns to attract the most promising graduates in the field. But, while these opportunities are relatively plentiful, entry is still extremely competitive – so a specialized postgraduate degree could really help you stand out. In an analysis of the top-paid business majors for US graduates, NACE (the National Association of Colleges and Employers) reported that starting salaries for accounting majors in the US averaged US$54,838 , while finance majors started at a slightly higher salary of US$55,609. At postgraduate level this gap widens; finance postgraduates earn an average of US$70,957 in comparison to accounting postgraduates, who earn an average starting salary of US $67,369. Although this would suggest finance is the more lucrative route, if you decide to gain a professional accounting qualification on top of your academic degree(s), as a certified accountant you could earn up to US$78,302. If you’re not yet sure who’s the winner of the battle of accounting vs finance, view our individual accounting and finance subject guides for more information on specializations and careers in each field. This article was originally published in March 2015. It was updated in March 2018. Hi, I 'm from Myanmar. I complete my bachelor degree B.Sc Oxford Brook applied by accounting from ACCA. And I'm working as an assistant auditor. But I want to pursue my career in Finance as financial consultant. I've 3 years experience in Auditing. I'm thinking to attend Master degree or another professional qualification. Can I join to CFA or Master of applied finance??? Is it possible??? Or Should I try to complete my ACCA part 3 (Affiliate member) ??? Which one is the best option to choose for my future career as financial consultant??? Hi Anaswara, you can get suggestions for affordable study destinations in our article 'where can you can study abroad for free? ', and can see which universities in these countries performed best in the latest subject rankings with the 2018 table here. Hope this helps! do I really need to study in foundation in accounting b4 I pursue my study in bachelor in finance & accounting ? can I study in that BA if I can study in foundation in science ? Hello, so i'm in my third year studying business in my college (majoring in finance and accounting), i want to complete my 4th year in any university in Canada or other European country, is that possible? I study at the AAST (arab academy for science and technology and maritime transport) in Egypt. Or at least, after i'm done with college, i want to do something (not sure of its name) that takes 1 0r 2 years i guess and then gives me the degree that i graduated from that college/university instead of AAST. Is that possible either? I’m really glad I’ve found this information. Nowadays bloggers publish only about gossips and internet and this is actually annoying. A good blog with exciting content, that is what I need. Thank you for keeping this web-site, I will be visiting it. Do you do newsletters? Can not find it. Hi Connor. Thanks for the feedback. We do indeed do newsletters - to receive them, you just need to register as a member of the TopUnivversities community, using the link at the top right of the website. Hi, my name is Martin. I live in Kenya, Nairobi. I am in my second year doing Bachelor of Arts in Economics, Mathematics and Sociology as well as C.P.A . I intend to major in Economics and Maths. Will i still be able to do a masters in Finance and is my undergraduate degree stated above well placed considering its not really Finance? As much as I am doing a professional course in Accounting I would like to end up in a finance career, preferably a Finance consultant. Hi, I'm an Italian student, just got my bachelor in finance. I would like to continue my studies in the field of Accounting taking a master in a foreign country in order to widen my knowledge and skills increasing my chances of find a good job. Looking at the "QS Word University rankings by subject -> Accounting & Finance" I saw that many leading universities in that field are Australian. I'm really fascinated by the prospective of study in Australia but once finisced my study I definitely want come home to work in Italy; so I have an huge dubt. It is worth studying there in a field like accounting or should I be better finding some good university in Europe? Please could someone already had an experience like that (or somebody knowing about that as well) give me a good advice? I would be very grateful. Thanks in advance. I do not believe which degree you get will be a deciding factor in how much money you make. In my experience, the person who has the degree is a much larger..